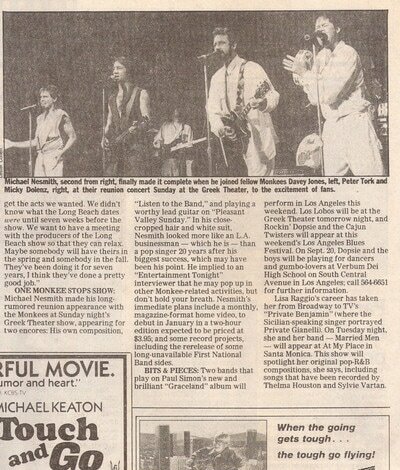 ​"Nesmith walked slowly out onto the stage and toward the other Monkees, who comically feigned incredulity. 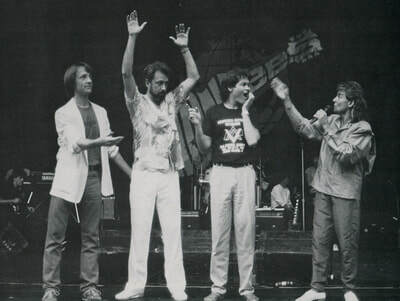 Then all four embraced at center stage while the capacity crowd cheered wildly. 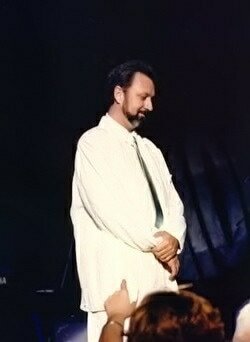 He seemed genuinely touched by the emotionally charged audience response." 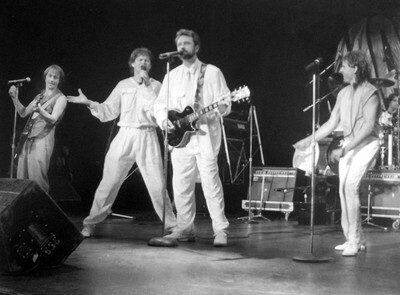 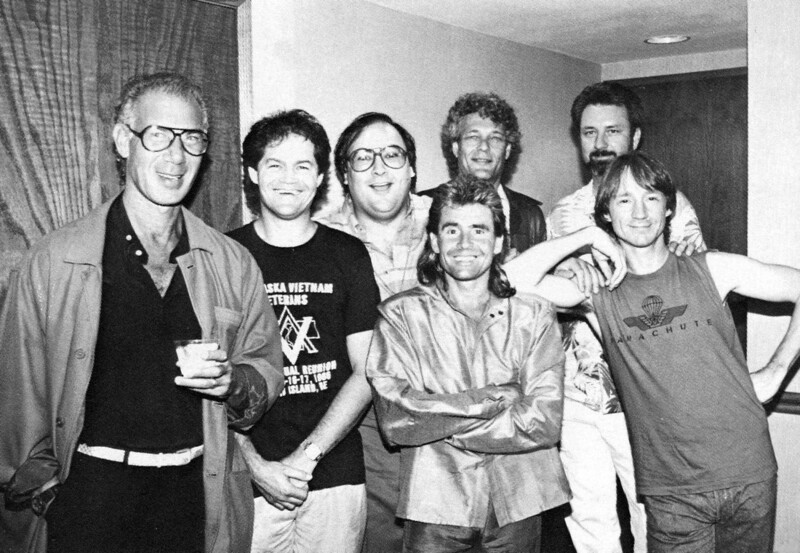 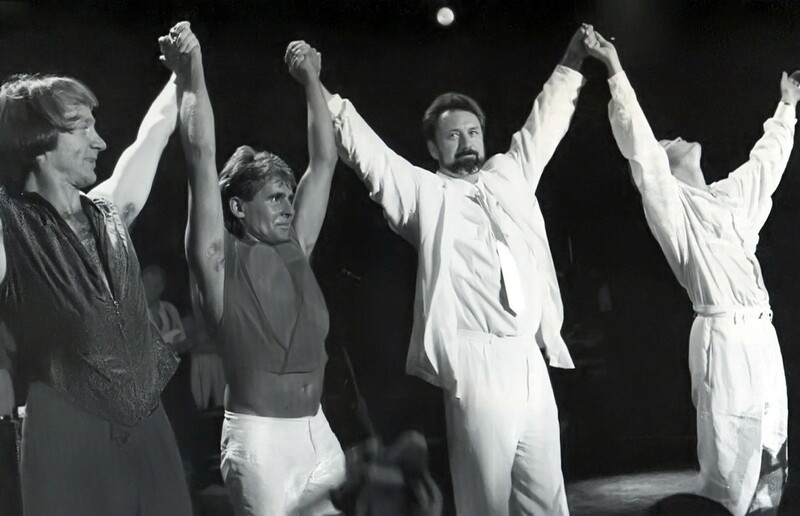 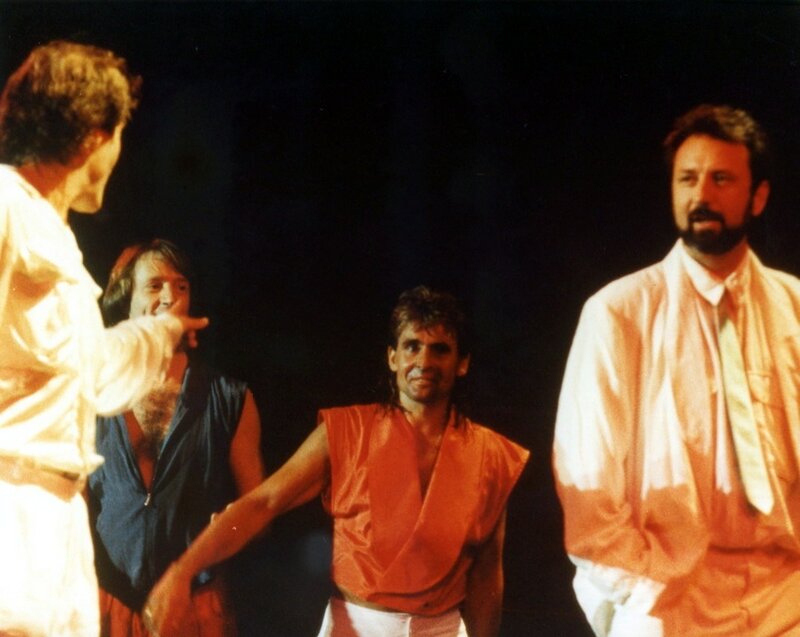 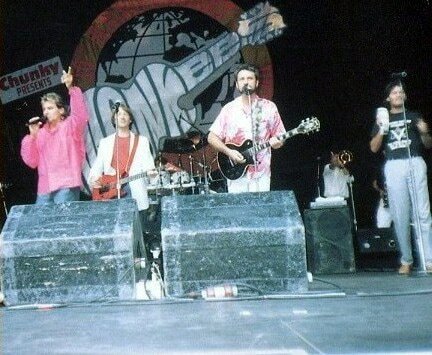 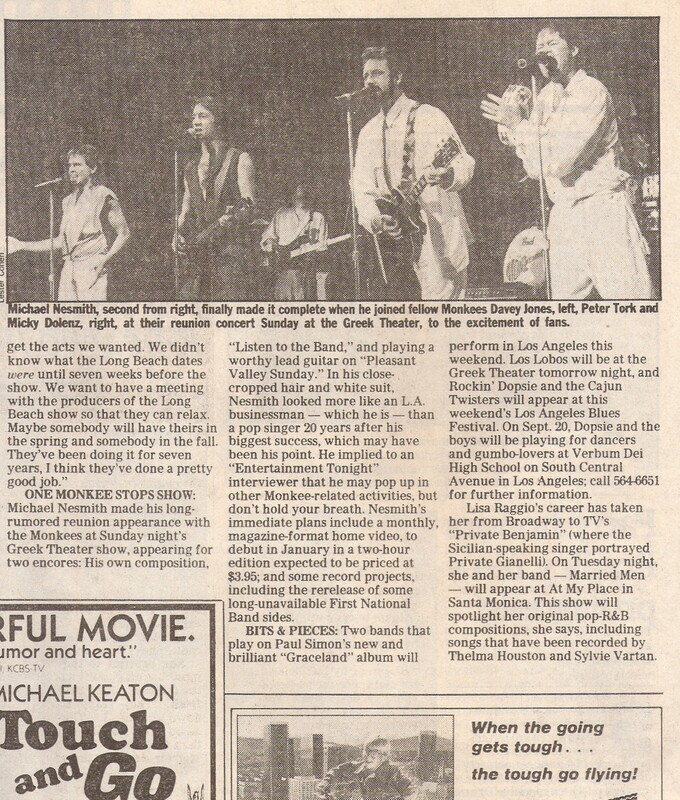 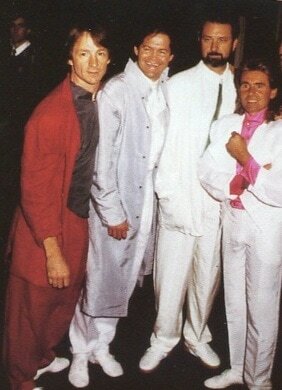 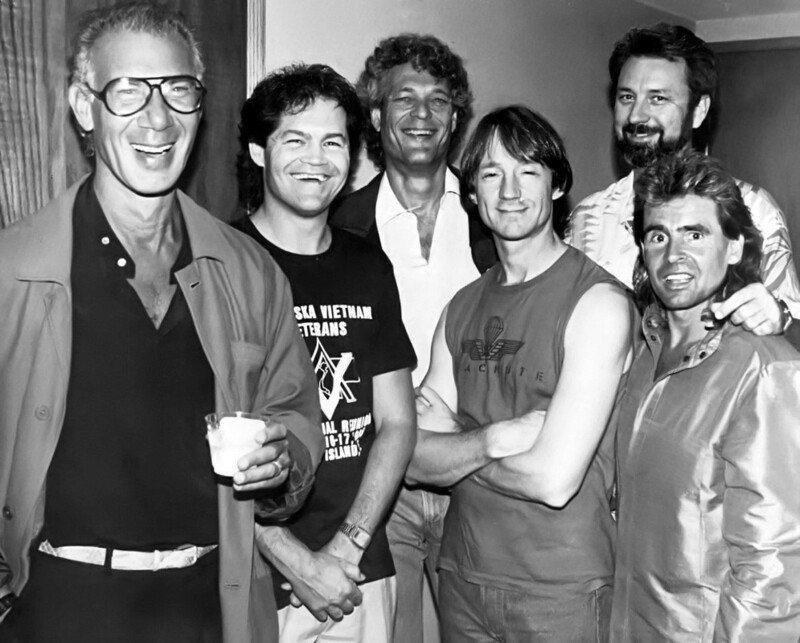 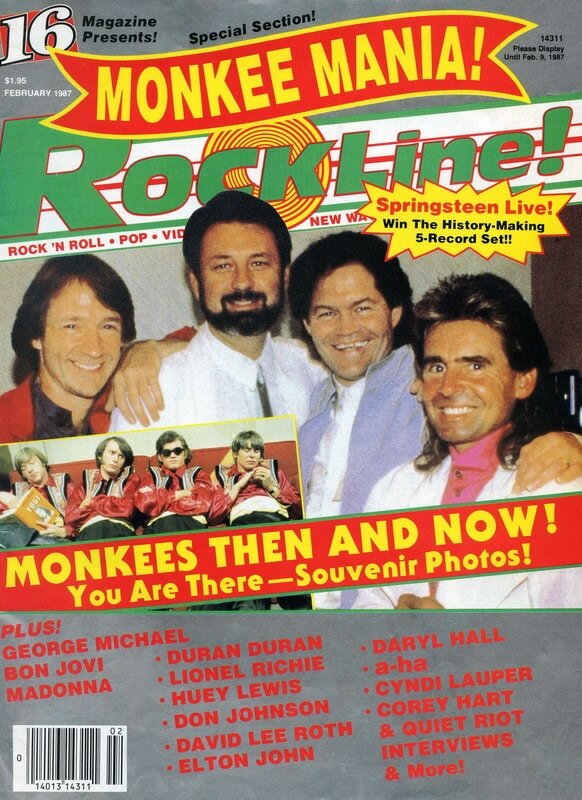 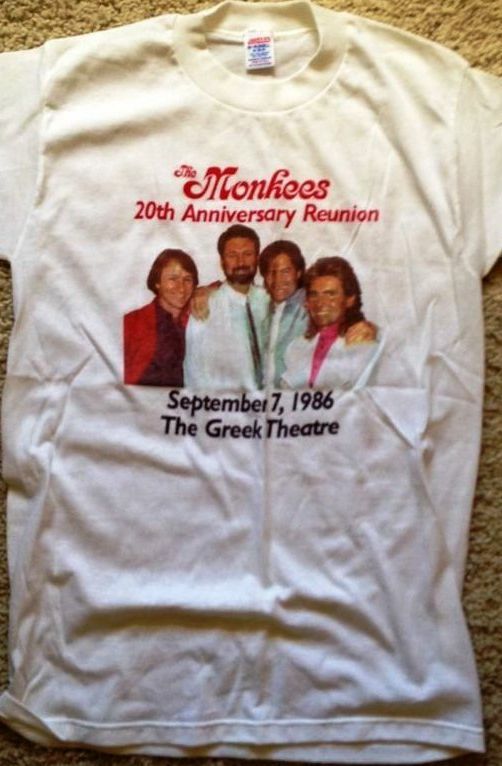 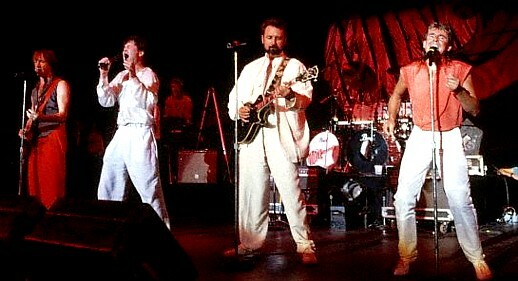 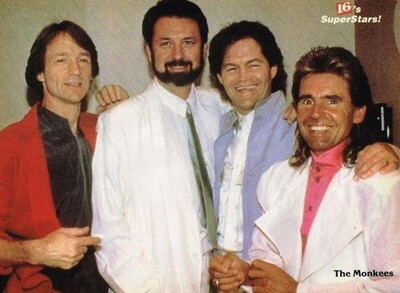 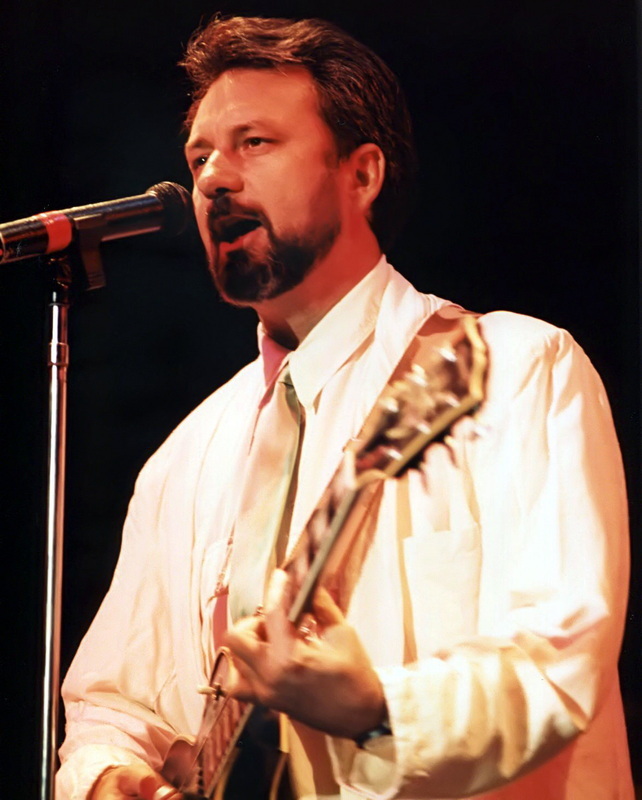 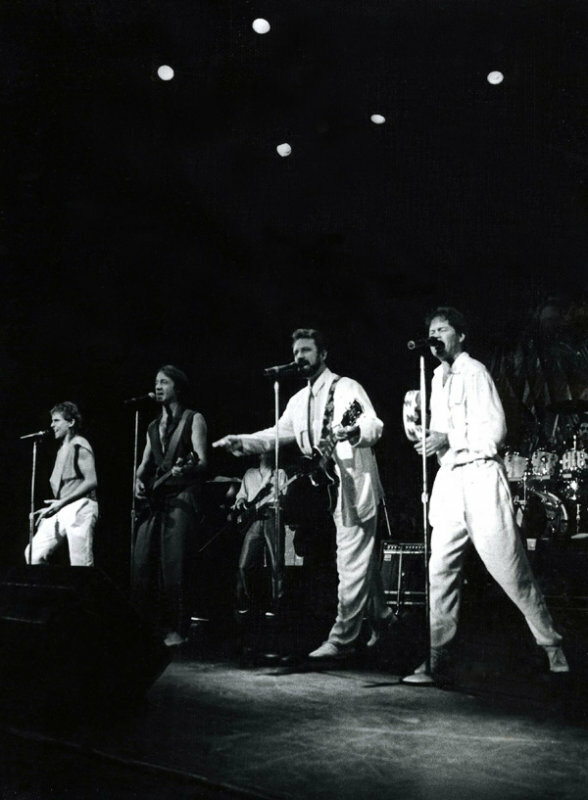 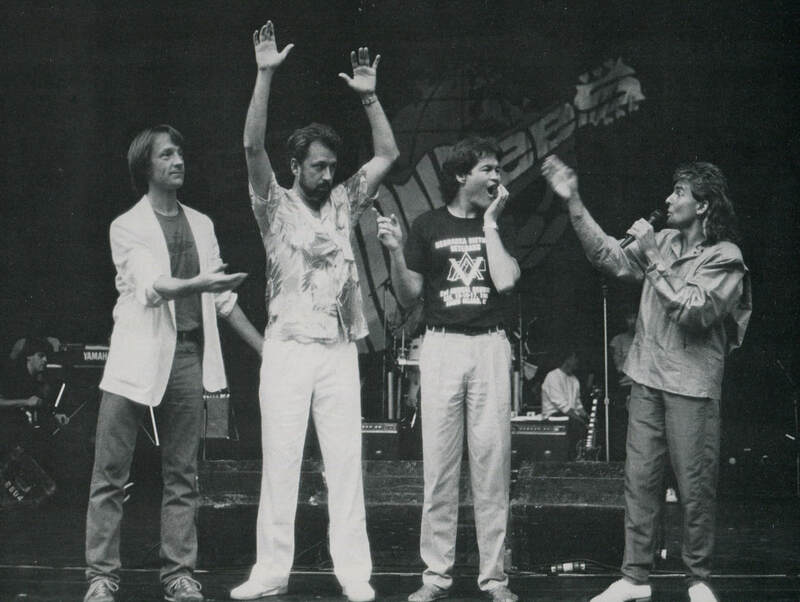 Five days short of the 20th Anniversary of their television show's debut, Mike joined Micky, Davy, and Peter for an encore performance on the last night of a three night stand for The Monkees in Los Angeles in September 1986. 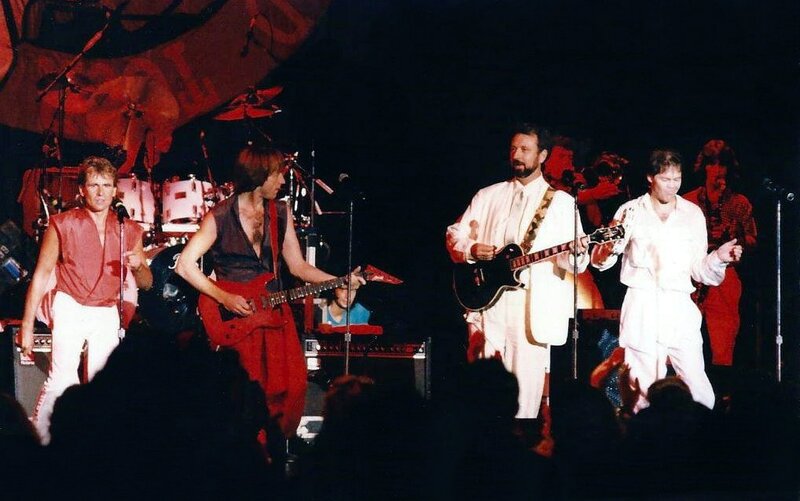 Due to ongoing business commitments, Nesmith, who led the Pacific Arts Corporation at the time, was unable to commit to the 20th Anniversary Tour. 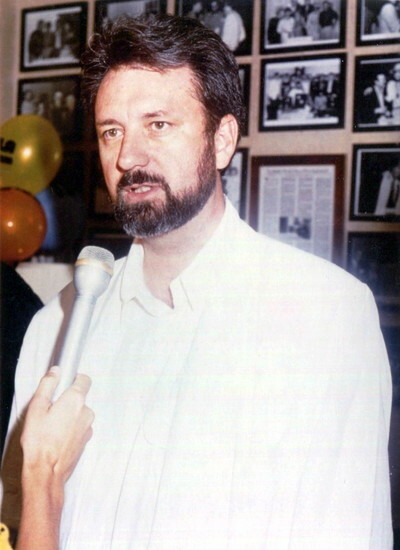 He had been privately and publicly supportive of the reunion and had expressed interest in joining the trio when their schedules permitted. 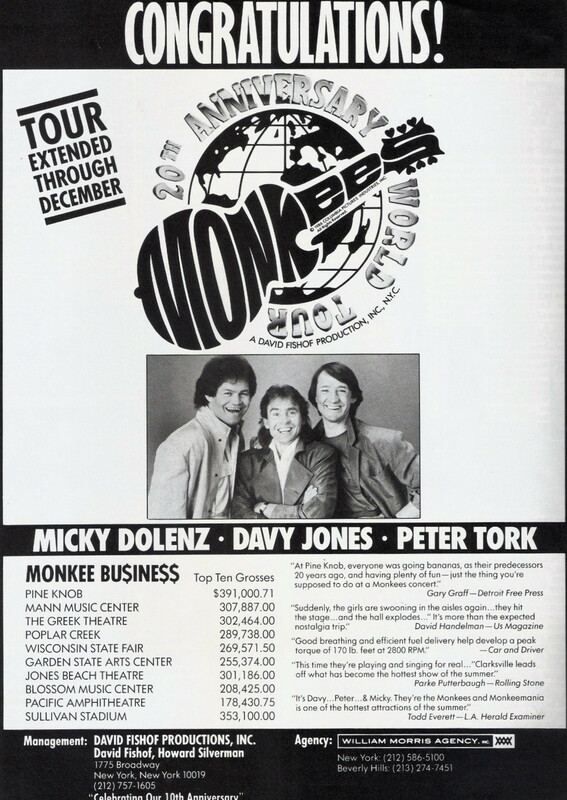 The appearance of all four original Monkees performing on the same stage for the first time since 1968 generated a lot of publicity and was widely covered by news outlets. 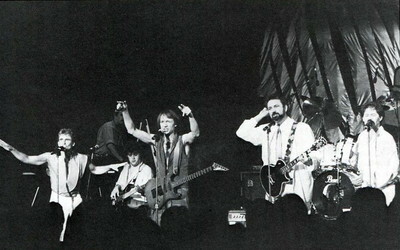 MTV was present for the show and filmed the encore. The Monkees sang “Listen To The Band” first, with Mike handling lead vocals. During the song the other three Monkees introduced the backing band to Mike. 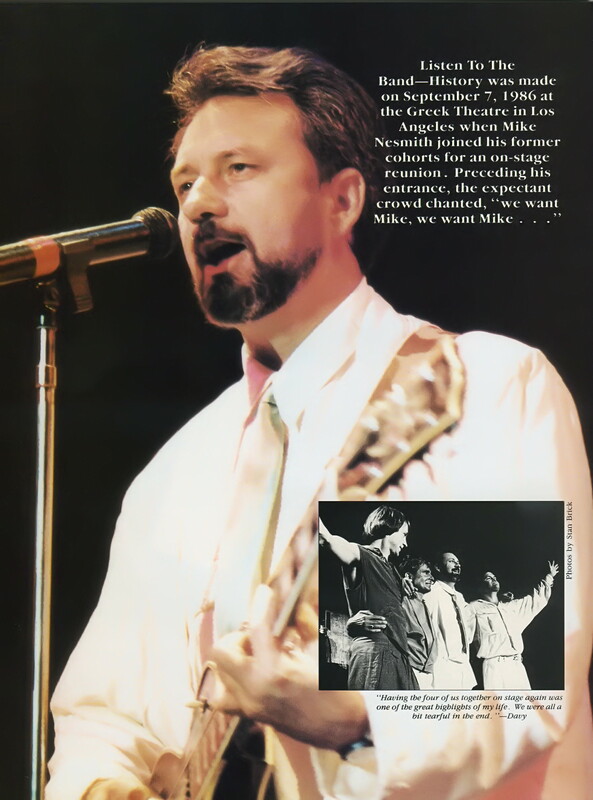 The final number was a rousing version of “Pleasant Valley Sunday,” complete with Nesmith handling the lead guitar riff as he had done on the original studio version nineteen years earlier. 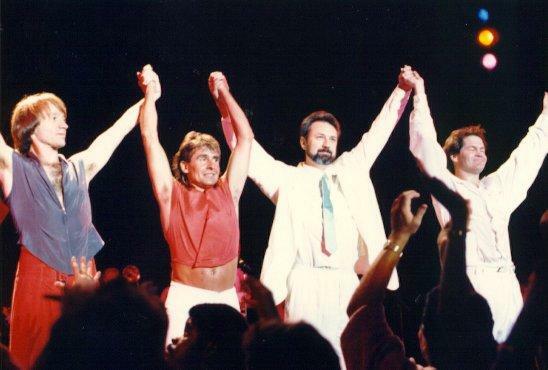 "Having the four of us together on stage again was one of the great highlights of my life," said Davy Jones after the momentous reunion. 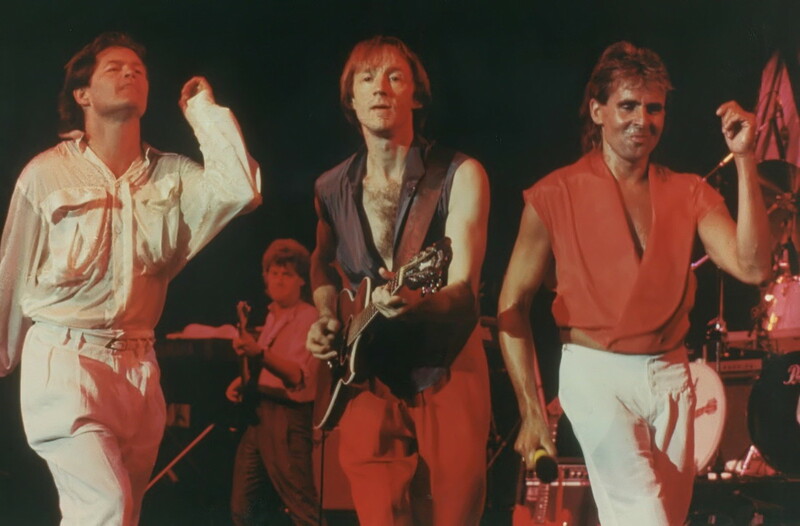 "We were all a bit tearful in the end."